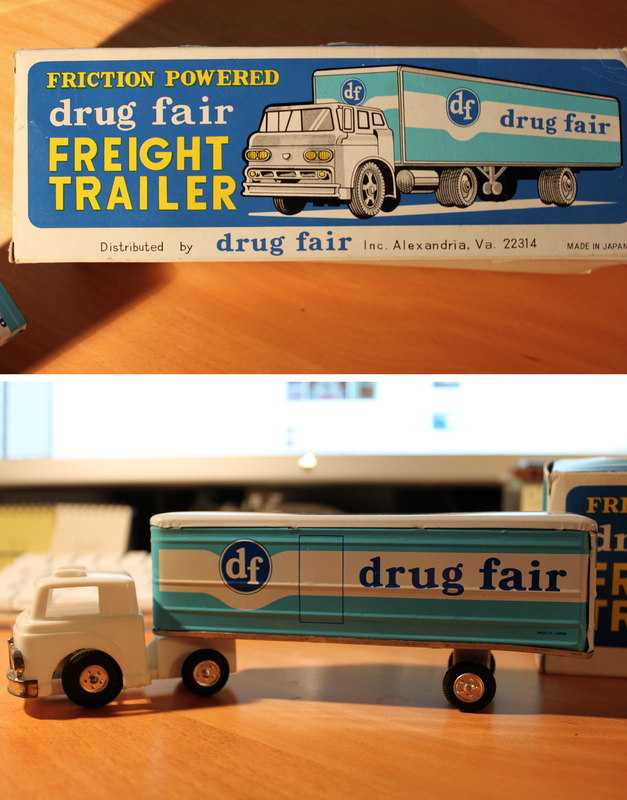 You can’t have a vintage toy Dart Drug truck without also having a vintage toy Drug FAIR truck, I always say. Laurel Plaza and Montpelier Shopping Center, represent. 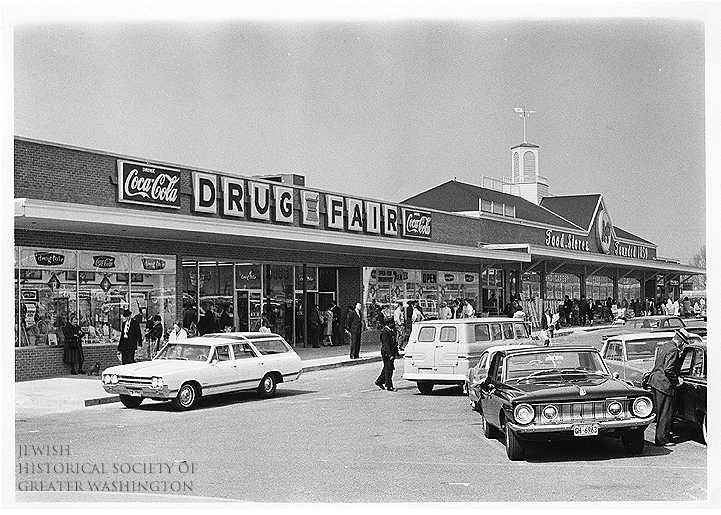 Photos of Laurel’s Drug Fair stores—or any in the DC metropolitan area, for that matter—have been very tough to come by. In fact, most of the Internet only seems to recall a chain of the same name based in Somerset, NJ. They also produced some pretty cool toys, which were built to last. 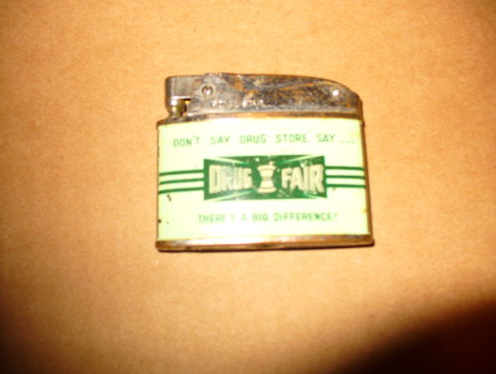 At least I know that the “friction-powered” truck I found is definitely from our Drug Fair chain, if not from one of the actual Laurel stores. An unexpected surprise, it came with its original package, which included the Alexandria, VA distribution info. And speaking of logos, here are the two officially trademarked versions that I’ve been able to confirm. The first is from 1972, and the other—more recognizable to those from my generation—was filed in 1978. 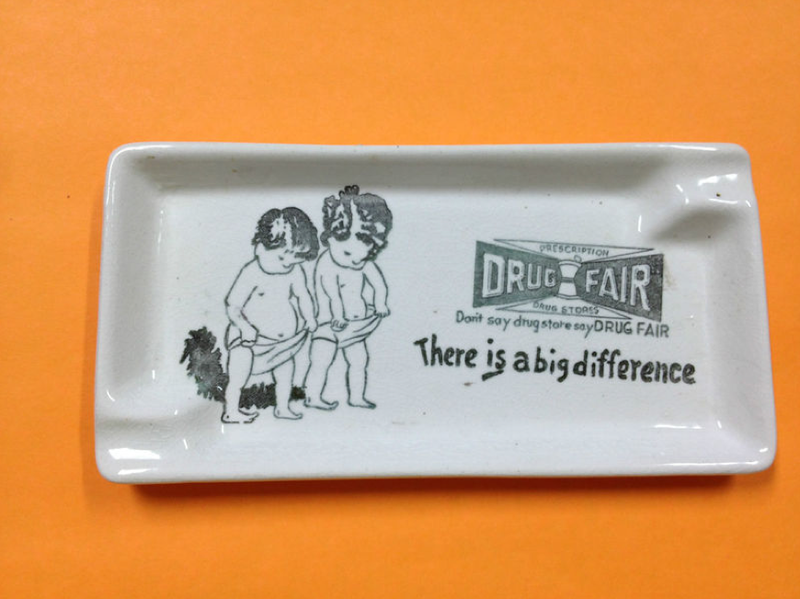 I enjoyed the Laurel Drug Fair back in the day and was glad to see the Drug Fairs in NJ when I moved there in the 90s. There were a couple that I saw, and it seemed like they hadn’t updated anything since the 70s. Most recently, I lived in Berkeley Heights, NJ from 2005-2010, and they had one that closed in 2009 when the chain filed for bankruptcy (http://www.nj.com/news/index.ssf/2009/03/drug_fair_files_for_bankruptcy.html). It wasn’t a surprise – even though the place was 3x the size of a Walgreens with way more inventory, they never seemed to have what I needed vs. Walgreens. The Laurel Drug Fairs were not related at all to the NJ Drug Fairs. The ones in Laurel were originally owned by Milton Elsberg (Doc Elsberg to the employees) and based in the DC, VA, MD area.. 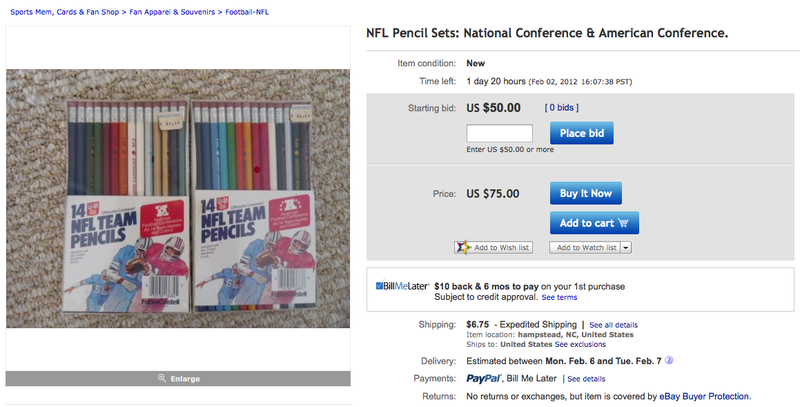 They were eventually purchased by Gray Drug in Cleveland, which was eventually gobbled up by Rite Aids. Thank you for sharing all of this great memorabilia! My grandfather Harold was Milton’s brother, and both he and my dad worked at Drug Fair for many years as well. I was born in 1982 so I never saw any of the stores before, only a few old pictures. I will have to send this to my dad so he can take a trip down memory road!